AVAILABLE NOW – “FRIEND OF FORREST” FREDERICK! 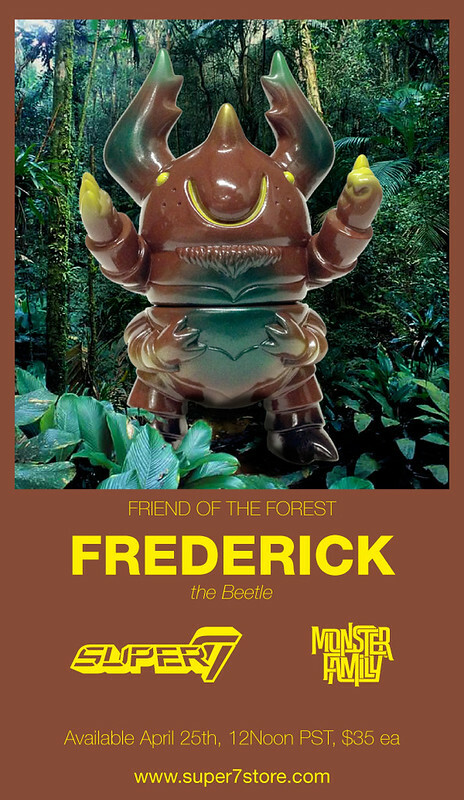 Deep in the forest lives our good friend Frederick the Beetle! His brown and metallic green body has evolved to let him blend into his surroundings and stay out of sight, but he’s got nothing to hide. Take a stroll through the woods and call his name and he will gladly pop out and say hello! Cast in brown vinyl with metallic green, gold, black and yellow sprays. STEVE SANSWEET to exhibit on MAY THE 4TH BE WITH YOU!